The Crusaders are back to winning ways. 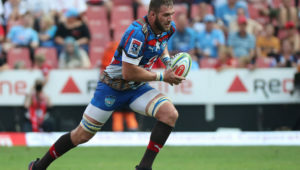 After missing the fixture against the Highlanders due to the terrorist attacks in Christchurch, and after going down to the Waratahs in Sydney last week, the reigning champions have bounced back to add another Kiwi scalp to their already impressive tally. The Hurricanes battled to get into the contest. 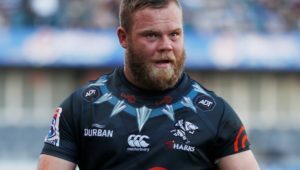 The Crusaders put a lot of pressure on the hosts’ set piece, and scored two early tries via a couple of well-chased kicks. Matt Todd was yellow-carded in the 27th minute for a cynical foul on Hurricanes scrumhalf TJ Perenara. The hosts struck immediately – through the human wrecking ball Ngani Laumape – to lend the scoreboard a better look as half-time approached. But the Crusaders didn’t take long to reassert their dominance. Richie Mo’unga kicked a penalty to see the visitors leading 17-8 at the break. Havili scored his second try of the match in the 43rd minute. 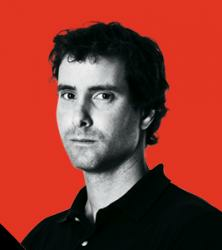 The Crusaders punished the Hurricanes at the gainline when Whetukamokamo Douglas made an intercept and sprinted upfield. Havili received the ball in a later phase, and then showed good strength to drag two defenders over the line. 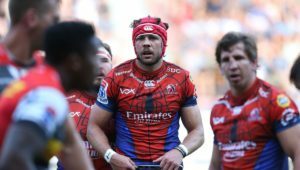 The Hurricanes continued to fall off tackles and offer space in the wider channels. Braydon Ennor scored in the 51st minute as the Crusaders moved into bonus-point territory. The visitors showed remarkable determination to keep the Hurricanes out at the other end of the park. Mo’unga kicked a penalty in the 72nd minute to take the game away from the Hurricanes. 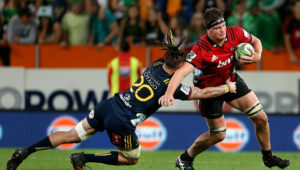 The victory marks the Crusaders’ second against the Hurricanes in 2019, and strengthens their position at the top of the New Zealand conference. Hurricanes – Try: Ngani Laumape. Penalty: Jordie Barrett. Crusaders – Tries: Will Jordan, David Havili (2), Braydon Ennor. Conversions: Richie Mo’unga (3). Penalties: Mo’unga (2). 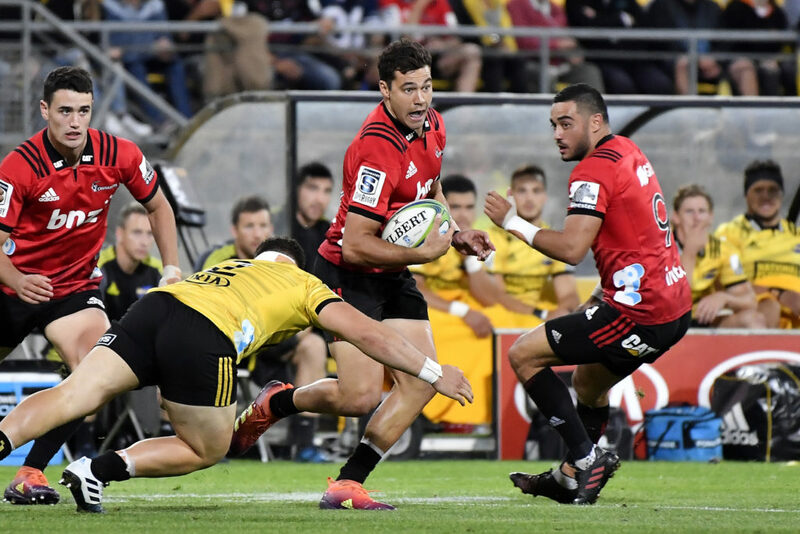 Hurricanes – 15 Chase Tiatia, 14 Jordie Barrett, 13 Matt Proctor, 12 Ngani Laumape, 11 Ben Lam, 10 Beauden Barrett, 9 TJ Perenara (c), 8 Reed Prinsep, 7 Ardie Savea, 6 Vaea Fifita, 5 Liam Mitchell, 4 James Blackwell, 3 Ben May, 2 Ricky Riccitelli, 1 Fraser Armstrong. Crusaders – 15 David Havili, 14 Will Jordan, 13 Jack Goodhue, 12 Ryan Crotty, 11 Braydon Ennor, 10 Richie Mo’unga, 9 Bryn Hall, 8 Kieran Read, 7 Matt Todd, 6 Whetukamokamo Douglas, 5 Samuel Whitelock (c), 4 Scott Barrett, 3 Michael Alaalatoa, 2 Codie Taylor, 1 Harry Allan. Subs: 16 Andrew Makalio, 17 George Bower, 18 Oli Jager, 19 Quinten Strange, 20 Jordan Taufua, 21 Mitchell Drummond, 22 Brett Cameron, 23 Sevu Reece.